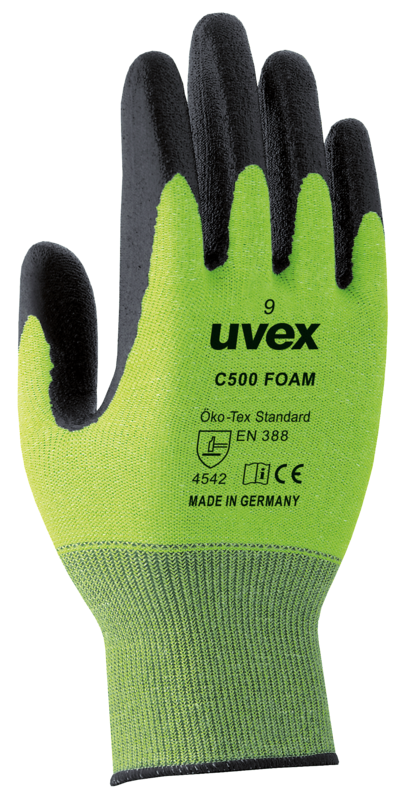 The Uvex C500 cut protection safety gloves range set new standards in protection, comfort, flexibility, dexterity and economy. The product concept offers the highest cut level 5 and is available in five versions which are suitable for dry or wet and oily conditions: uvex C500, uvex C500 wet, uvex C500 wet plus, uvex C500 dry, uvex C500 foam and uvex C500 pure. 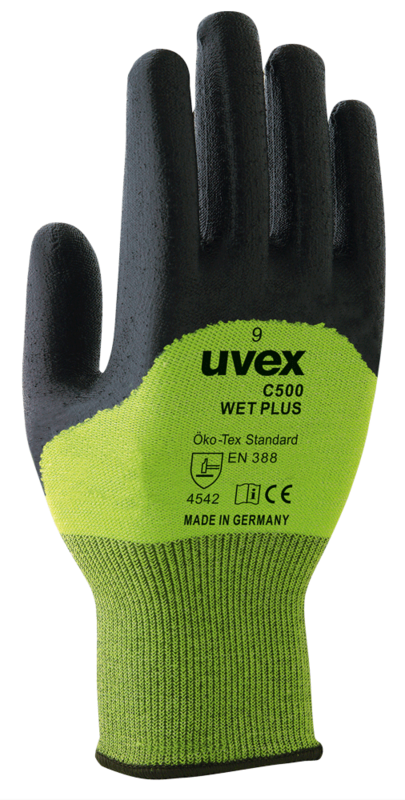 In addition a cut resistant uvex C500 sleeve is available. 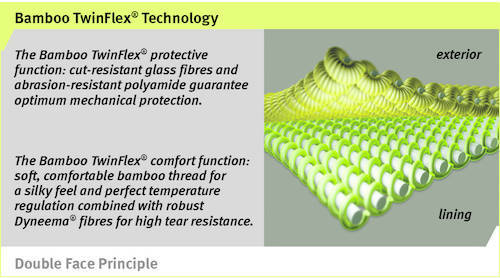 All options are made in Germany and feature patented Bamboo TwinFlex® Technology, a material composition made of a cut protection fibre on the outside and a bamboo comfort fibre on the inside, combining outstanding skin sensory properties with excellent climate characteristics and cut resistance. The gloves include Climazone, which is Uvex's comprehensive, ultra comfortable climate management for all types of work and working environments. Based on and following scientific studies, Uvex Climazone delivers an outstanding solution for every workplace, regardless of climatic conditions or the physical activity. Perfect for Australia's hot working environmental conditions. In addition to the intelligent use of lining materials, perfect shape and fit is achieved by innovating a new flat ergo mould. These anatomically shaped moulds accurately replicate the hand improving the fit and dexterity of the glove. The Bamboo plant, commonly grown in Asia although they grow well in most climates, is a type of grass with a hard, woody, hollow stem. There are several varieties of bamboo; some are as short as one foot (30 cm) in height while others can grow to ten times that size. Bamboo fabric is a natural textile made from the pulp of the bamboo grass. Bamboo fabric has been growing in popularity because it has many unique properties and is more sustainable than most textile fibres. Bamboo also has many antibacterial qualities, which bamboo fabric is apparently able to retain, even through multiple washings. This helps to reduce bacteria that thrive on clothing and cause unpleasant odours. The type of bamboo used to produce fabric is Moso bamboo (Phyllostachys pubescens), a type of tropical grass which is not the same kind the pandas eat. The answer to this lies in a strategic approach to ergonomics, which intensively deals with the relationship of stress and strain. In order to integrate scientific findings in PPE products, we have developed a product system over the past few months which is designed to relieve the strain on wearers as effectively as possible. With a defined “relief index”, we are able to introduce empirically verifiable features for each product which demonstrably prevent physical strain to ward off damage to long-term health. With the product system “uvex i-gonomics”, our intention is to do our bit in maintaining the health of your employees. Place your trust in our product and service solutions and together we can shape the working world, ensuring it is even safer in the future.